Growing up isn’t easy. Young people today face a number of pressures to succeed, compete, and conform. School, extra-curricular activities, and family can all impact a young person’s mental health and sense of well-being if goals, expectations, and problems start to seem too big. Every young person, regardless of the neighbourhood they live in, the friends they have, the family they come from, or the school they go to will experience challenges and uncertainties as they grow. We can all benefit from having supportive people in our lives, but asking for help isn’t always easy. 100% of kids at some time will experience the challenges of everyday life and the first experiences that come with growing up. How can parents help young people cope with the pressures they face today and encourage them to reach out for help if and when they need to? Help kids recognize first experiences. When kids are growing up, many changes and challenges can seem difficult because they have nothing to compare them to. Draw examples of times they had to adapt to something new – the experience doesn’t have to relate to what they are currently going through, as long as it helps them see that they have the skills and resources to move forward. Lighten the load. If a young person is experiencing a lot of stress or pressure, cutting back on the number of commitments or responsibilities might be an option they want to explore. Sometimes, kids worry they are letting their parents down if they quit a sport or other activity, and that might stop them from reaching out when they feel overwhelmed. Be open with your kids. Encourage them to talk to you, and when they do, be present. Turn off your phone or other devices, be present, and be ready to listen. Try not to get defensive or angry if they tell you something you don’t like. Think about how you would want someone to react if you were trying to open up to them. Be hopeful. Show your kid you believe in them. Remember, an adult’s own perspective reflects back on the young people in their lives. When you believe in kids, it helps them to believe in themselves. Take a step back. Help young people to see the choices that they have, and then let them make the decision on which steps they want to take. This gives young people the opportunity to take control of their own situation while still being supported. Do something fun together. It’s important to help kids find ways to unwind, no matter what they’re going through. A DIY spa day at home, have a movie night, do a craft together, bake something yummy, or going for a walk or a bike ride are all ways you can encourage self-care at home. Thank you to KidsHelpPhone.ca for providing this useful information for parents! Tagged kids, mental health, parenting, world mental health day. Bookmark the permalink. I think it is extremely important that your children know that you are approachable and that you will listen carefully and sympathetically to their problems. I read a book long ago written by Dr. Haim Ginnott. He advised treating children and husband the way you would like to be treated and I hope I have done this most of the time. They should know that you are always there for them. The best thing you can do (coming from me, a child), is to just be there and listen when we need you! Excellent tip! Agreed 🙂 Parents need to be good listeners. 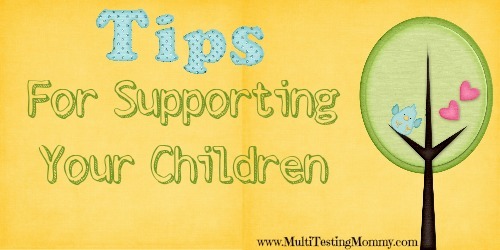 Keep tips to keep in mind as I prepare for the birth of my first child.